Home→dog training→Five Things to Remember: When You’re Working With Your Dog. 1. Stay Calm: Getting anxious or upset will only frustrate you and your dog. Staying calm will help you to connect with your dog and prove to you and your dog that you have confidence to be a reliable leader. 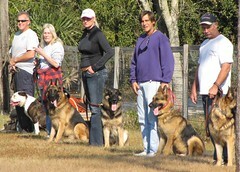 This will help you to build trust with your dog and to speed up training. 2. Be Consistent: Consistency is possibly the most important thing to remember. Dogs are creatures of habit. Having a consistent daily routine as well as consistent training and direction will help your dog to feel more comfortable with its surroundings. This in turn will aid you in the work you do with your dog. Try to keep things such as feeding time, play time, training time, quiet time, and bed time consistent. Also be consistent with your expectations. Don’t say a command one day and then change it the next (i.e. don’t say “down” when you mean “off”; don’t say “wait” when you mean “stay” and vice versa.) This should apply to praise and direction as well. Don’t be over the top gushy on one day and then barely acknowledge an achievement the next day. 3. Be Kind – Not Easy: Dogs are very astute at picking out a ‘soft touch’ as well as learning each of our weaknesses. Be fair to your dog. Make sure they understand the result you are trying to reach and the trigger word. However, once they know the commands, don’t allow them to get away without following them. Don’t make excuses for your dog not following through on a command. And don’t let things that you once trained slide or old habits that have been broken creep back in. 4. Always Think Ahead: Don’t allow your dog or yourself to be put in a compromised situation. Always scout areas for training or exercise before you take your dog there. Remember to take any supplies or training equipment you might need. Consider making a bag to take with you or using a check list. Also, keep your eyes and ears open for any distractions that may come up. 5. Know When to Say When: When training, don’t push things too far. If you’ve had a great 45 minute training session with your dog and they are starting to tire, then call it quits. You should always end on a good note. If your training session is not going well, then work on easier skills you have already achieved for 5-10 minutes and then end the session. If you’ve had a really bad day and you’re unable to focus on training, then focus on management. Work on sharpening old commands, try doing a series of commands before you throw a ball. 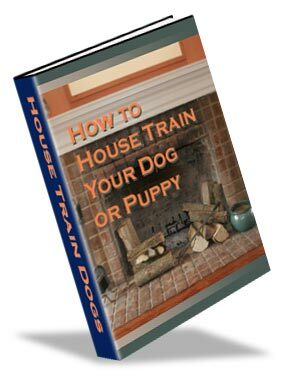 Think of ways to fulfill your dog’s needs without allowing their training to regress. Trying to train when you are unable to focus on your dog will do neither of you any good. 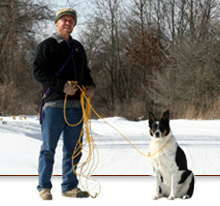 This article was written by Dog Trainer John Adams from Dogheart in Ann Arbor, MI. Hi, I really appreciate all the excellent content you may have the following. I am glad I came across your web site. A great checklist for all those training their dogs. Seems like I’m pretty good at most of these, though not all consistently or at the same time. I think I’ll have this list with me the next time we do our training work. Thank you!